This is an updated version of the Default Old Interface originally created by Sony Online Entertainment. Read the enclosed ReadMe.txt file & always ensure you install a clean version. UI featuring graphics by T.King with extra artwork and code by Drakah. Follow the README.txt file included for installation instructions. Special thanks to Roger and James from the SOE Team. This UI was made to have simple borders, based off of the EQ Login Screen window bordering. The simplicity and fluid style of this interface makes this UI unique overall and actually was in the design stage for several years. Recommended. This Interface is based off of EverQuest II's UI graphics, and have been modified to work with EverQuest. Exclusive to Sha`Kahr. This Interface is based off of EverQuest II's UI graphics, and have been modified to work with EverQuest. This UI was created by an idea from Adeptus and collaborated to create this T.King Celtic inspired interface. Exclusive to Sha`Kahr. This target ring was created from the original idea from EverQuest 2's target ring. It will animate when the Assist is set in group or raid and is very easy to see from long distances. This replaces the Selector Window that is not commonly used. It only shows a simple mail icon that matches the EQ button to keep graphics consistent looking. Common audio triggers used for in-game notifications. 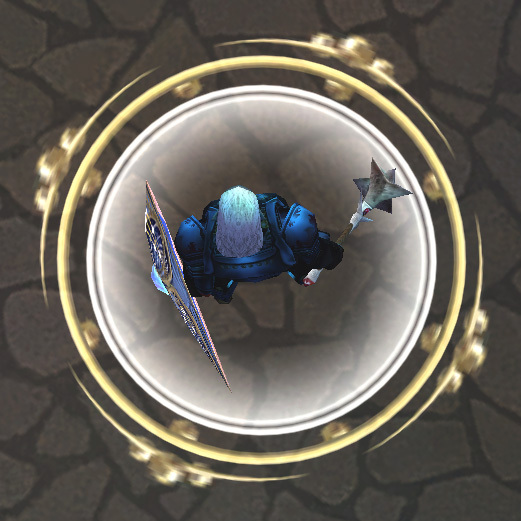 This replaces the default Aggro Meter to be more like the one you see in EQ2. The more aggro you get, the more fire you will see. This was the very first interface I had created using a HUD style and is no longer supported or compatible. I have kept this in the archive only for nostalgia.